Maybe it was a shot of a sunset under the tint of an X Pro II filter. Or perhaps it was a school pic from back when you had braces and headgear with a Valencia tint and a very special #tbt tag. 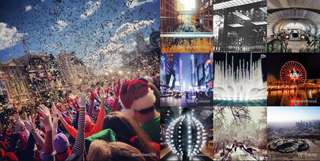 Whatever it is, show us your most popular Instagram post. We invite you to embed your heartable pics in the comments below. To do that, click the button with three dots on it on the bottom right-hand corner of your photo. It will say embed. Select embed, copy the code, paste it into the comment window, and hit post. Whatever the photo may be—even if it's a food gram, for god's sake—we wanna see it, so share away.